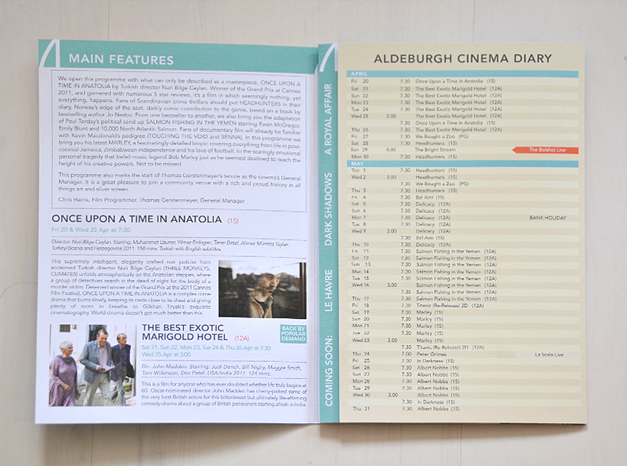 After a re-brand of Aldeburgh Cinema, we began a new working relationship with them. 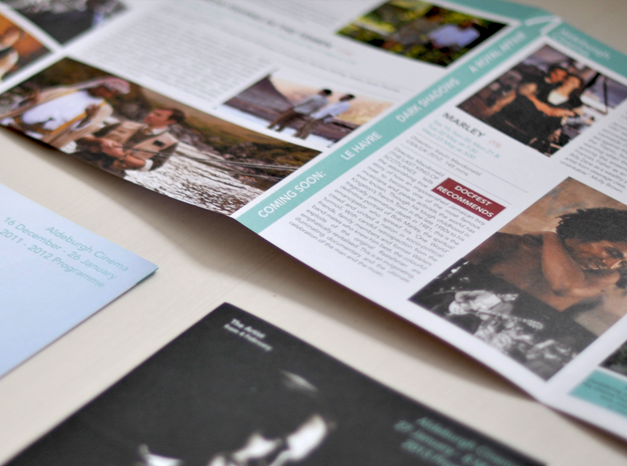 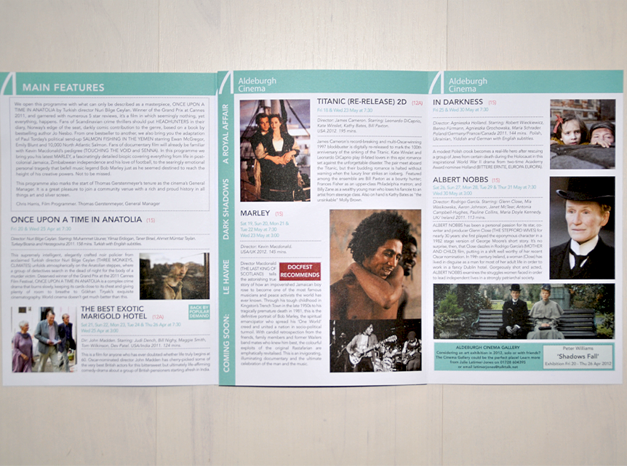 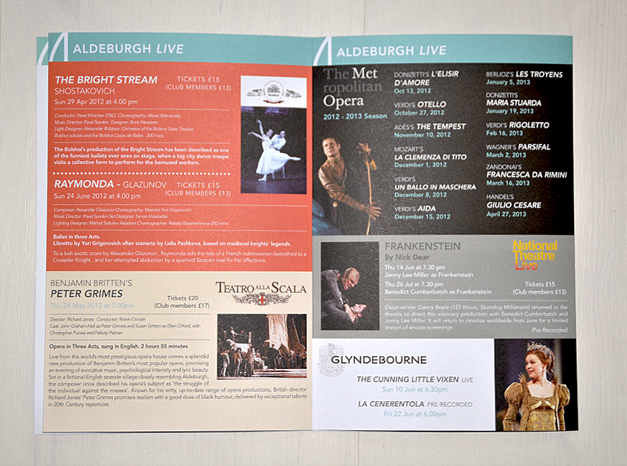 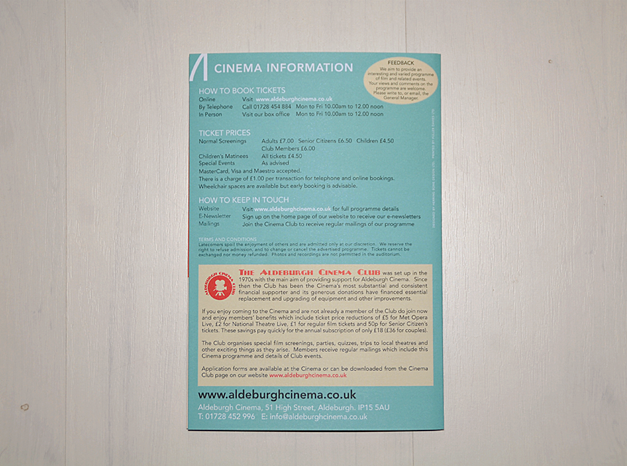 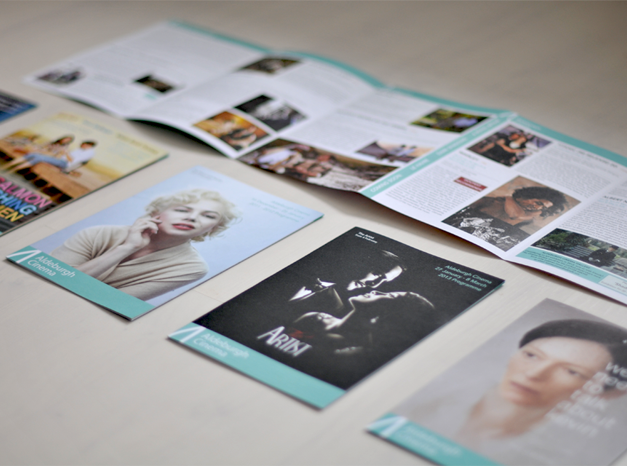 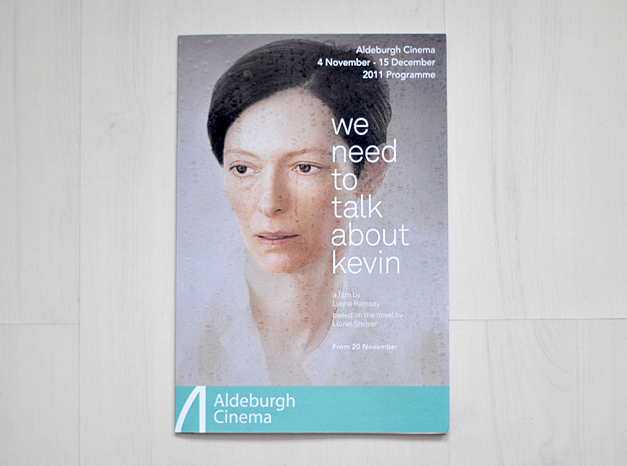 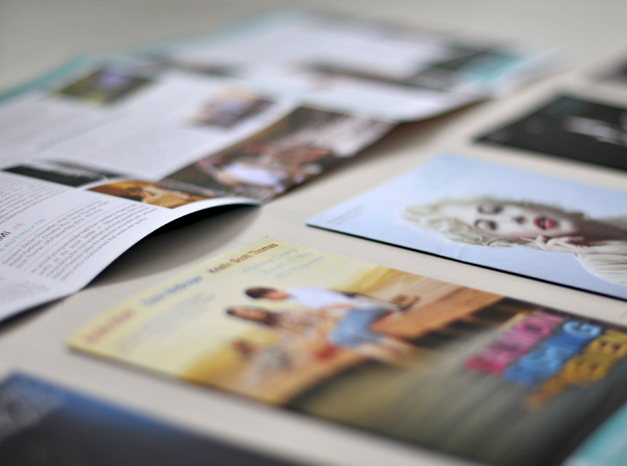 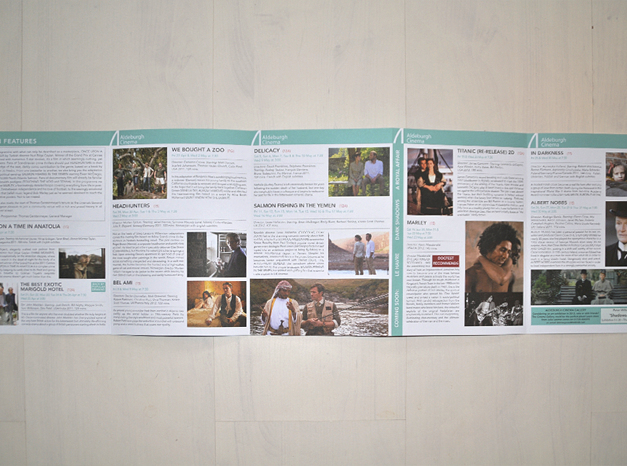 Based on the success of the logo we were asked to handle the Cinema’s printed programs (which we do every 6 weeks), email campaigns, film time posters, website and the advertising of all their events, such as Aldeburgh Documentary Festival. 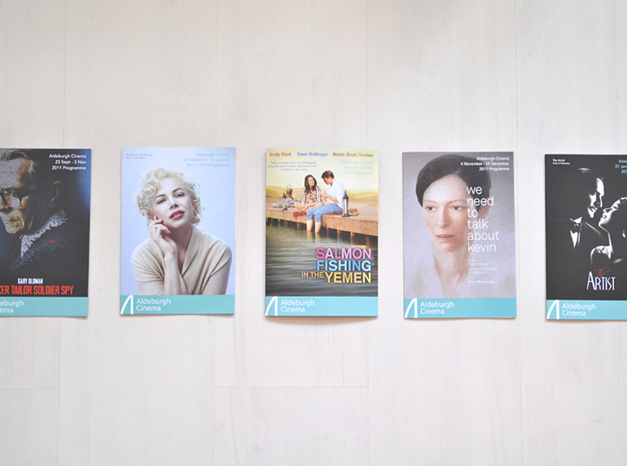 We have a great working relationship with the team and love the fact that it gives us an excuse to watch some film trailers now and then!